26 - 27 September: Groblersdal Fly & Braai. If you want to stay over - bring your tent or stay at a B&B in Town. 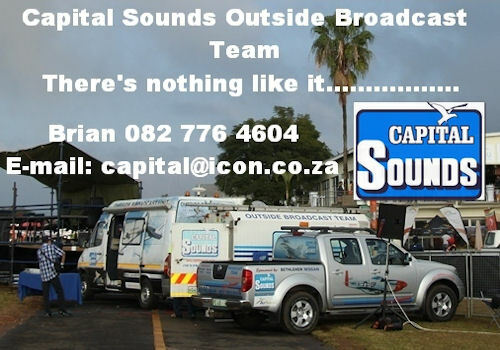 Contact Fanie: 0834498638 or Oom Piet: 0741601429. September 16 2011 - 2011 Reno Air Races crash: The North American P-51D Mustang The Galloping Ghost, flown by James K. "Jimmy" Leeward, crashes into box seats in front of the grandstand at the Reno Air Races at Reno Stead Airport north of Reno, Nevada. Leeward and 10 others are killed and 69 people are injured. It is the third-deadliest airshow accident in U.S. history and the deadliest aviation accident of any kind in the United States in two years. September 16 1910 - Bessica Raiche makes the first solo airplane flight by a woman in the United States to be accredited at the time by the Aeronautical Society of America. September 17 1947 - The United States Army Air Forces are separated from the United States Army and become an independent armed service, the United States Air Force. September 18 1928 - The first flight of the Zeppelin LZ-127 Graf Zeppelin is made. It is the most successful rigid airship ever built, flown commercially on a regular basis from Europe to South America. It flies over a million miles and carries some 13,100 passengers before its demise 1940. September 18 1919 - Roland Rohlfs, a Curtiss test pilot, was the first person to reach 35,000 feet in an open cockpit Curtiss 18 T triplane over Curtiss Field, Long Island. Oxygen was provided in a bottle connected to a tube that Rohls sucked on at altitude. September 19 1783, The Montgolfiers launch a sheep, duck, and rooster in a hot-air balloon in a demonstration for King Louis XVI of France. The balloon rises some 500 m (1,700 ft) and returns the animals unharmed to the ground. September 20 1874 - Du Temple builds a steam-powered monoplane which achieves a short hop after gaining speed by rolling down a ramp. It carries a human passenger whose identity is no longer known. September 21 1913 - The first aerobatic maneuver, a sustained inverted flight, is performed in France. September 21 1802 - Frenchman Andre-Jacques Garnerin makes the first parachute descent in England, jumping from a balloon over London. September 22 1943 - 22-24 - Ernst Jachmann flies his single-seat glider 55 hrs and 51 min in a thermal. Taiwan, Taipei: A TransAsia Airways ATR 72-500 with 26 people on board landed with only one of its two engines operational after the pilot had found that one engine was leaking lubricant oil. The engine was shut down in accordance with standard operation procedures. The incident came after the Taiwanese airline suffered two deadly crashes in the past 15 months that killed a total of 91 people. Norway, Vasser: Norwegian investigators have revealed that a light aircraft collided with an unmanned air vehicle just days before the country's air navigation service cautioned about their proliferation. The pilot encountered what is believed to be a drone at a height of around 2,500ft and, a moment later, heard a bang. The flight continued without any technical problems and an inspection after landing revealed no evidence of damage. The pilot assumes the drone struck the aircraft's left-hand landing-gear. Norway's civil aviation authority says that drones should not be flown at a height exceeding 125m (410ft). USA, Silverton: Four people were killed after a twin engine Cessna 310 crashed at an altitude of around 11,500 feet at the San Juan Mountains near Silverton. The pilots were flying Visual Flight Rules. Two of the people aboard the plane were pilots. Both were licensed to fly single engine planes, but not the multi-engine Cessna 310. USA, Norfolk: A F-16 pilot killed when he crashed into the Gulf of Mexico during training did not go through the proper training to begin flying the jets again after a nearly 20-year hiatus. Matthew J. LaCourse became disoriented while attempting to intercept another jet that was playing the role of an approaching drone. Of the nearly 102 hours LaCourse had spent flying an F-16 in his career, 82 of those came before 1994. He spent less than nine hours flying the F-16 during seven different flights in the 90 days prior to the crash, the report says. USA, Mcallen: Federal authorities have seized a Beech King Air E90 full of illegal immigrants. The aircraft was being used in an attempt to smuggle seven illegal immigrants from the Texas border into the interior U.S. to avoid immigration checkpoints. The airplane's pilot, a United States citizen, was released as the investigation continues. 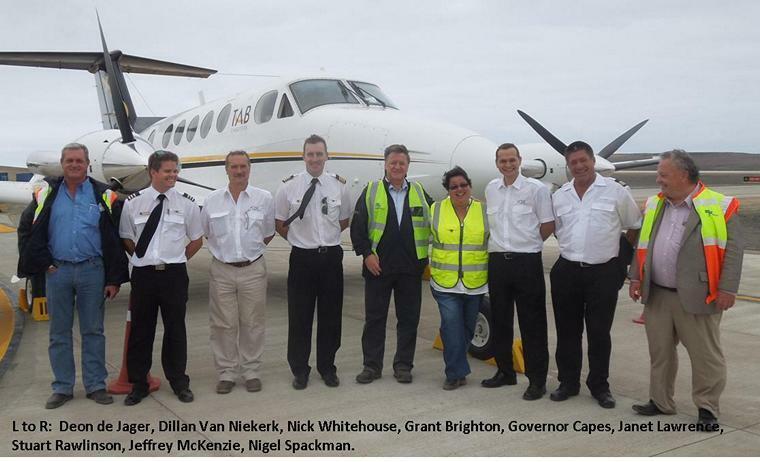 History was made on St Helena at 13.50hrs GMT today, Tuesday 15 September 2015, as a Beechcraft King Air 200 aircraft arrived from Angola and touched down at St Helena's new Airport, prior to conducting a series of calibration flights. The calibration tests will now commence. 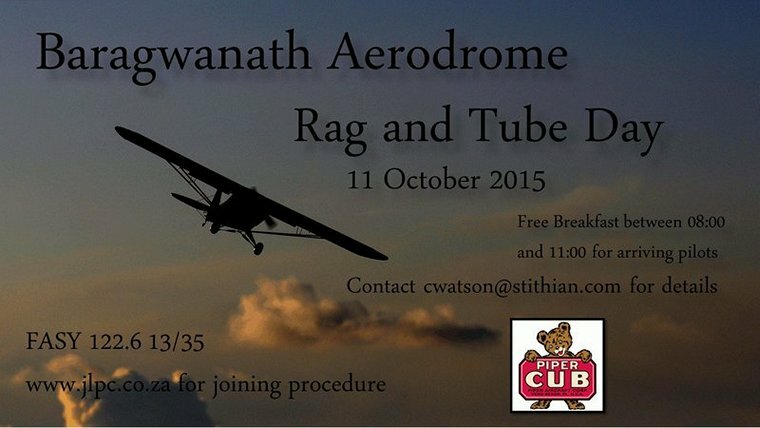 Several flights each day - weather permitting - will be undertaken. Greeting the crew on the Airport Apron, Governor Mark Capes remarked: �Today we witnessed an event that will feature prominently in the history of this Island. For the Airport project another important piece of the jigsaw has slotted firmly into place. There are a few more vital pieces to be added before the picture is complete, but we are nearly there and I warmly congratulate everyone who has played a part in this extraordinary project. The FAI Sailplane Grand Prix makes the sport of gliding more accessible and physically visible to the general public while the scoring system allows spectators to easily see who has won, as the first sailplane crosses the line in front of them. 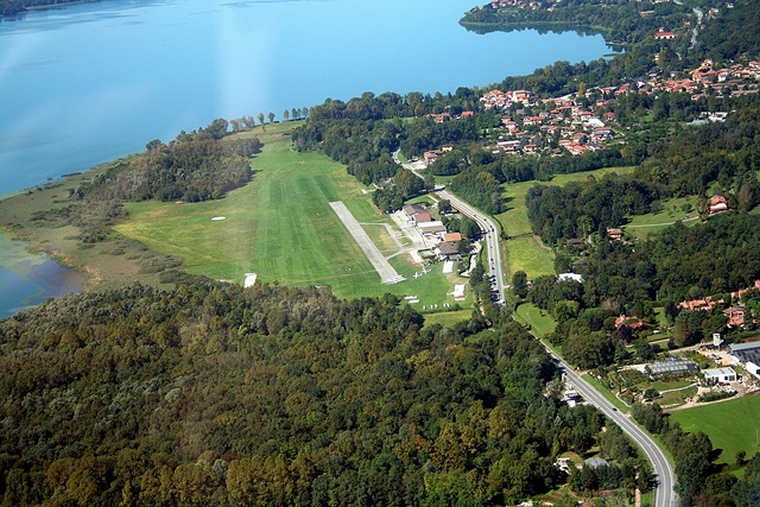 They will also be able to follow the race at the airfield, next to lake Varese and at the Volandia Museum on giant screens set up for the occasion. A series of qualifying events is run in different countries over a period of approximately a year and as the finale features the top two from each qualifier, it is truly a test of champions. Entries are usually limited to 20 participants, since everyone starts at the same time and may fly round and arrive very close together and very fast. The pilots are competing in a place full of gliding history and tradition: Calcinate Del Pesce Airport is in fact one of most important gliding centres in the world. It owes a lot to the famous pilot Adele Orsi Mazzucchelli and her family who not only founded it, but also relentlessly strove to develop the gliding culture in the Alps and worldwide. Day 6 Thursday 10 Sept. Another awesome day for Jonker Sailplanes with Maximilian Seis in 1st place and Christophe Ruch in 2nd both in JS- 1s. Werner Amann finished in 3rd and Sebastian Kawa in 4th. Both flew the ASG 29. South Africa's Laurens Goudriaan in the JS 1 evo finished in 7th place and Petr Panek in a JS 1was placed 10th. Day 7 Friday 11 Sept. Fridays race was cancelled leaving Maximilian Seis in his JS-1 with only Saturday's leg left still the overall leader followed by Christophe Ruch also in a JS-1 in second place. Day 8 Saturday 12 Sept. 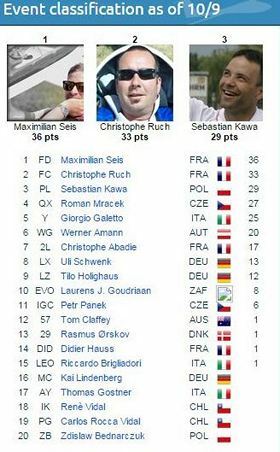 The overall winners were announced and Maximilian Seis with 26 points in his Jonkers JS 1 finished in first with Christophe Ruch	with 33 points also in a Jonkers JS 1in second and Sebastian Kawa	with 29 points in a ASG 29 in third. Laurens J. Goudriaan on 8 points in a Jokers JS 1 evo took 10th placed whilst Petr Panek with 6 points was placed 11th. 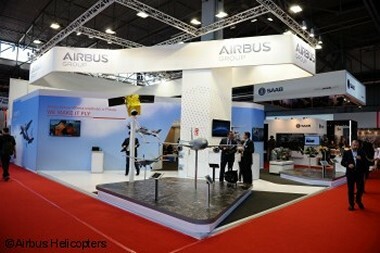 The Tiger HAD, H225M, and H145M are showcased at MSPO, which runs 1-4 September in Kielce, Poland. Here's a selection of photos from the event. Earlier last week, the Tiger HAD, equipped with a 30mm turret cannon, took to the air in its first demo flight over Warsaw. 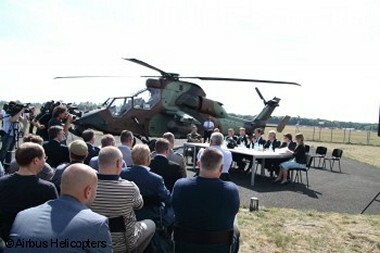 It then continued on its journey to Kielce, Poland where it met up with the H225M Caracal, which also arrived early in preparation for the MSPO exhibition. 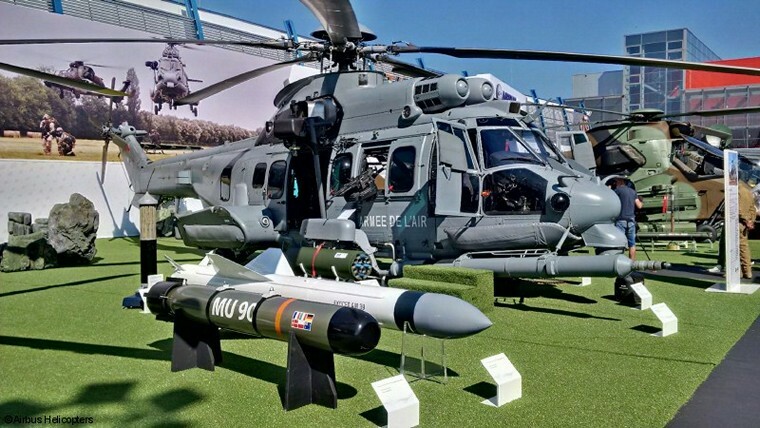 Today, both helicopters are in their places at Airbus Helicopters' static display for the prestigious international defence show. 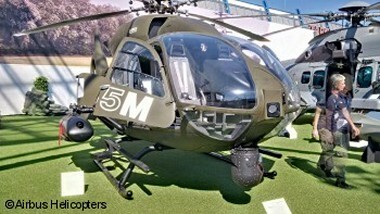 Complementing the two helicopters, a mock-up H145M is also on display, allowing visitors to learn more about this versatile military helicopter that is the reference for law enforcement organizations and military services. Boeing Service Engineering teams prepped and loaded the CH-47F into a C-5 Galaxy transport at Dover Air Force Base, Del., for delivery to Townsville, Queensland Australia. 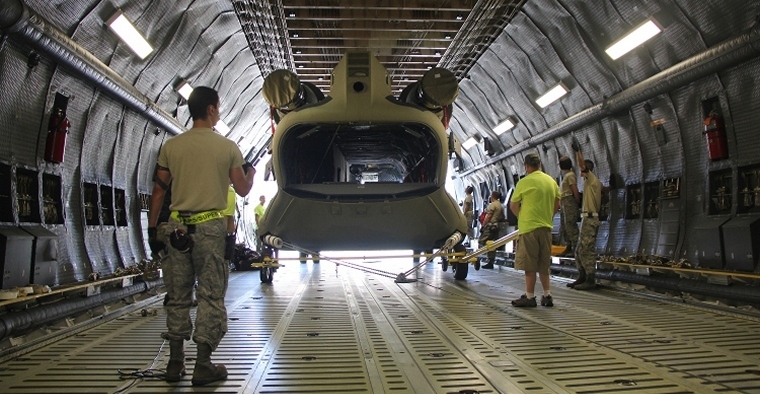 Boeing [NYSE: BA] delivered the seventh CH-47F Chinook to the Australian Army on budget and three weeks ahead of schedule, supporting modernization of Australia's cargo helicopter fleet and eventually replacing the Commonwealth's six older CH-47D Chinooks. The seven advanced Chinooks were ordered as part of a U.S. Government Foreign Military Sales agreement with Australia in 2012. Australia has one of the most advanced and highly capable Chinook fleets in the world. Major developments on the CH-47F include a digital cockpit, an advanced communications system and new avionics. Those allow the Australian Army to operate more effectively with U.S. and international forces through the easy exchange of digital maps that facilitate coordinated responses for military and humanitarian missions. 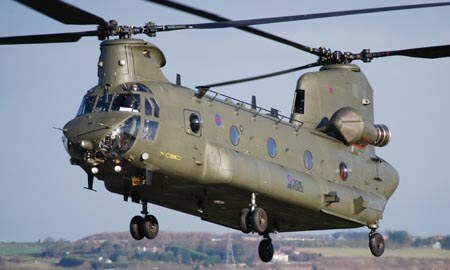 The Australian Chinook configuration also includes a new rotor brake that enables shipboard operations by actively stopping the rotor blades rather than allowing the blades to naturally 'spin down' once the engine is turned off after landing. "Our CH-47D Chinooks have been real workhorses for Australia, both here and on operations overseas, and our new CH-47F Chinooks are set to be even more dependable, affordable and capable assets," said Rear Admiral Tony Dalton of Australia's Department of Defence. "We are very pleased with how Boeing and the United States Army have worked together to deliver this important capability to Australia ahead of schedule and on budget." The Australian Army's 5th Aviation Regiment, 16th Aviation Brigade, operates the Chinooks from their home base in northern Queensland, Australia. Boeing Defence Australia will provide on-site operational maintenance support for the CH-47F aircraft, having supported the CH-47D since 2010. Australia's partnership with Boeing began nearly 90 years ago. Today, the country is building one of the world's newest and most technologically-advanced armed forces with a range of Boeing platforms and services including the Chinook, EA-18G Growler, P-8A Maritime Surveillance Aircraft, F/A-18 Super Hornet, E-7 Wedgetail Airborne Early Warning and Control System, C-17 Globemaster III and training and logistics solutions. 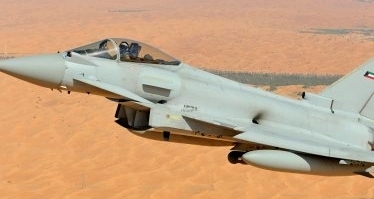 This new international success follows an order from the Sultanate of Oman for 12 aircraft in December 2012 and it is a further evidence of growing interest in the Eurofighter Typhoon across the globe and in the Gulf Region in particular with the Kingdom of Saudi Arabia and the Sultanate of Oman who have already ordered this combat aircraft. On behalf of the consortium and its Eurofighter Partner Companies (EPC) the CEO of Eurofighter, Alberto Gutierrez, said: "This new agreement is the confirmation of the superiority of the Eurofighter over its competitors and will provide a great opportunity for further Eurofighter orders. We are delighted to welcome Kuwait as the newest member of our Eurofighter Typhoon family. The Eurofighter is already proven and trusted by six nations to perform in all operational environments". With Kuwait, the Eurofighter Typhoon confirms its role as Europe's largest military collaborative programme with a total of 599 aircraft committed. 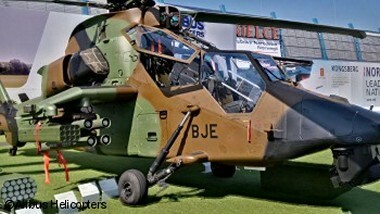 It provides leading-edge technologies and strengthens Europe's defence industry in international competition. More than 100,000 jobs in 400 supplier companies are involved in this four-nation programme and deliver significant contributions. Since entry into service of the first Eurofighter Typhoon at the end of 2003, 444 aircraft have been delivered to six nations: Germany, the United Kingdom, Italy, Spain, Austria and Saudi Arabia. In December 2012, Oman became the seventh customer and ordered a total of twelve aircraft. Eurofighter Typhoon is currently in service at 22 operational units and up to now, the whole fleet has completed more than 300,000 flying hours worldwide. International BizAv Show Jet Expo 2015 is held for the tenth time, and has already become the most significant forum for the Russian business aviation community. Jet Expo has also received international acknowledgement and continues to see growing international exhibitor support as a successful B2B event in this sector. This major media event brings together business leaders, government officials, manufacturers, corporate aviation department personnel and all manner of people involved in nearly all aspects of business aviation. In early September for a few days, Moscow again will become a world capital of business aviation. 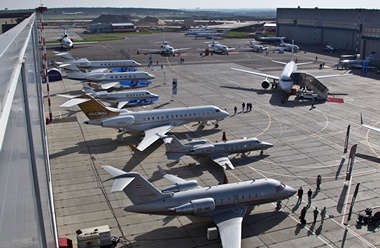 During three days in the largest business airport of Russia - "Vnukovo-3" annual exhibition Jet Expo 2014 will be held, where the leading manufacturers of luxury private jets will demonstrate to Russian customers the latest developments, which often exceed the cost of commercial aviation liners. The passengers will have a real opportunity to plunge into the world of luxury interiors and amazing aircraft, and most importantly to visit them personally. After all, the static display "Vnukovo-3" will feature more than 30 modern business jets, from small turboprop aircraft to luxury transatlantic liners. Embraer announced that it has signed a firm order with SkyWest, Inc. for 18 E175 jets. 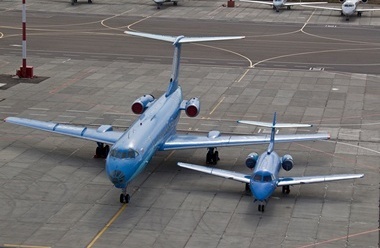 The order, which will be included in Embraer's 2015 third-quarter backlog, has an estimated value of USD 800 million, based on the current list price. The aircraft will be operated by SkyWest Airlines, under an amendment to an existing Capacity Purchase Agreement (CPA) with United Airlines. With this new 18 aircraft purchase, the total number of SkyWest E175 firm orders reached 73 units of this model. Delivery of the first aircraft is expected in 2016. 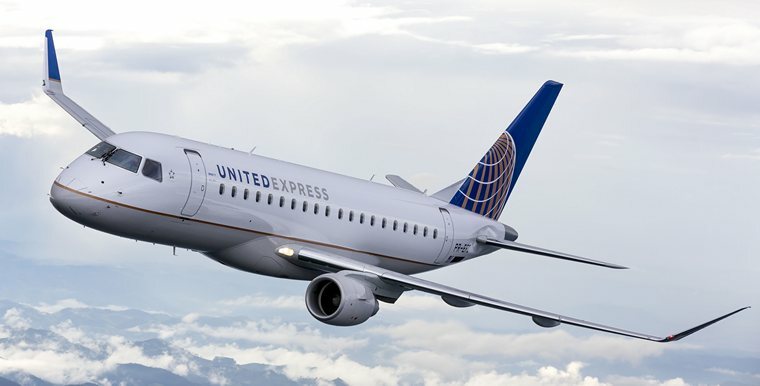 The E175s are configured in a dual class 76-seat layout, equipped with 12 First Class seats, 16 Economy Plus seats, and 48 Economy seats, and will operate under the United Express brand. The E175s feature a new wingtip that, among other technical enhancements, improves aerodynamic performance. Fuel consumption on a typical flight is 6.4% lower than first-generation E175s. In North America, the E175 is the preferred aircraft of carriers operating 76-seat jets. In the last two years, the E175 has captured over 80% of orders among aircraft in its class from airlines in the United States. Embraer is the only manufacturer to develop a modern family of four airplanes specifically targeted for the 70- to 130-seat segment. Since the formal launch of the program in 1999, the E-Jets have redefined the traditional concept of regional aircraft by operating across a range of business applications. The first E-Jet entered revenue service in 2004.